Will OTT rise to uncompetitive levels? A recent report by IHSScreen Digest predicts reveals that the costs of OTT will rise to uncompetitive levels when they need to be scaled up to broadcast volume levels: the reasoning being that traditional broadcasting is delivered via multicasting and that OTT is delivered via unicasting. That is wrong. First of all, only linear content can be distributed via multicasting: VOD, trick play, replay TV, delay TV etc: all relies on unicasting delivery, whether it is delivered as a traditional cable or IPTV service or as OTT services. The reality is that most OTT content actually is not linear content anyway. The reality is that with the industries’ move to new HTTP adaptive streaming technologies, they lose the ability to do multicasting. Consumers need to accept that when their consumption patterns change, this could impact infrastructure scaling and could impact costs. Yes, linear television is cheap to deliver, but people want VOD and are willing to pay. The reality is that proper CDNs mimic multicasting by relaying live streams via strategically placed edge devices, dramatically offloading unicast streams on the Web, internet exchanges, peers and backbones. The reality is that networks do not have infinite bandwidth and routers have no infinite capacity to scale multicasts. Proper CDNs do a pretty well job in scaling this capacity. One challenge in this industry is that more and more content is consumed on-demand, and that implies unicasting: whether the content is delivered via traditional cable or IPTV platforms or via OTT services. This means that you need to use more intelligent CDNs that can tune traffic distribution extremely finely to offload networks. The only way to do that is to bypass the entire Internet and bury CDN edge capacity deep into telco networks. Something that traditional CDNs cannot do and will not be allowed to do. Another challenge in this industry is actually not reducing traffic or reducing traffic costs on the network. It is about creating a value chain that can monetize new generation video services. And that is where all traditional CDNs fail, since they were never able to monetize video delivery due to high running costs and inefficient CDN designs. The only way to achieve this is to cut out the man in the middle (Internet CDNs) and directly work with telcos to offer the subscribers efficient streams at reasonable costs. The real challenge is to get subscribers to pay for a service that is being run on an unreliable network, using best effort CDN technologies. If videos buffer, or when the quality of a stream constantly changes (QoE), consumer adoption of services will be poor. And that needs to be changed. So it is not enough to bypass the Internet. It is not enough to put ‘data pumping’ Internet CDN edges into telco networks. We need intelligent CDNs that focus on broadcast grade delivery, that can guarantee broadcast grade uptime, quality and performance on a reliable telco network. 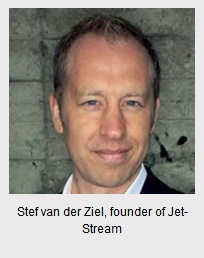 Jet-Stream identified the wish for content publishers to bypass Internet CDNs and directly work with telcos to deploy and manage their own premium CDN: lower costs, more control, better value chain agreements. More and more broadcasters, publishers and other content providers are deploying their own CDNs. One remark: there are companies active in our industry who claim to have developed highly efficient ‘pseudo multicasting’ technologies that would extremely drive down the costs for content providers. In reality these technologies are based upon P2P technologies that create havoc in Internet and telco networks because they are extremely inefficient. These technologies simply move the costs from content providers to telcos. From a macro perspective, they are extremely expensive due to the added overhead. This article was originally posted on Stef’s company blog here.